"All BTS Members Said They Will Definitely Serve in the Military"
Do Jonghwan, the Minister of Culture and Sports mentioned about the world-class group BTS' military service issue. On October 10, during the parliamentary inspection of the Ministry of Culture, Sports and Tourism, Do Jonghwan was asked about his opinion about the application of the exception of military service from Liberty Korea Party's congressman Cho Kyungtae. 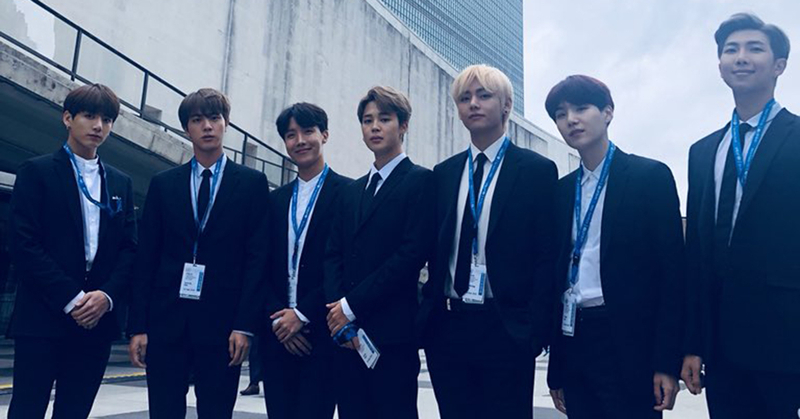 According to Minister Do, "The 7 BTS members are very sensitive about the military-related issues" and "They said they will definitely serve in the military no matter what". Which means, BTS members are reluctant to be shown as 'draft evaders'. At the meeting, Minister Do said, "Some say the exception of military service should be abolished or impose defense taxes on artists who earn a lot of money" and "There are also opinions that imposing cumulative score system and the postponement of the military entry age". Then he continued, "We plan to come to a reasonable measure. We will continue the discussion with the Military Manpower Administration and the Ministry of National Defense".